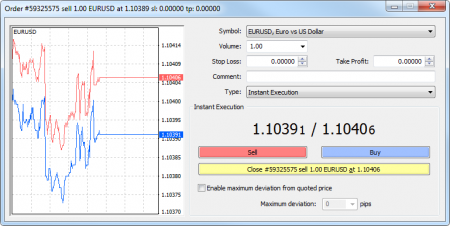 Closing trade is a key feature of every system that deals with foreign exchange systems. The matter is that purchasing or selling of a financial instrument always opens a trading position. However, to make profits from the difference in rates, you will need to close the position. The same idea goes to MetaTrader 4, as well. 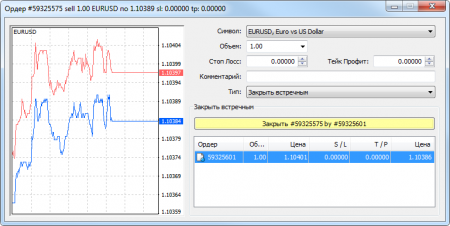 Need to close a trade in MetaTrader 4? Below you can find a brief manual on how to close different kinds of trade in MT4. A single trading position will be closed automatically, in case the prices are equal to the Stop Loss or Take Profit orders. Note: when you need to close a long position, the value of the Take Profit or Stop Loss order needs to be equal to the Bid price, while when you are closing a short position, to the Ask price. If you want to close a trade position manually, you need to enter the "Terminal - Trade" command in the context menu of the needed position or just double click there. If the execution of operations is made upon request, you will need to receive the quotes by clicking on the "Request" button. Then the button will be activated and will allow you to close the position. Opposite position in relation to the current one is an opposite position for the same financial instrument in MT4. Then select "Close by" in the "Type" field. Then you will see all opposite positions available at the bottom of the window. Select all the opposite positions and then click "Close". It will allow you to close two positions simultaneously. Multiple close of several opposite positions enables you to close more than 2 opposite positions simultaneously. Open the "Order" window and select the "Multiple close by" in the "Type" window. In this case, positions will be closed in pairs. 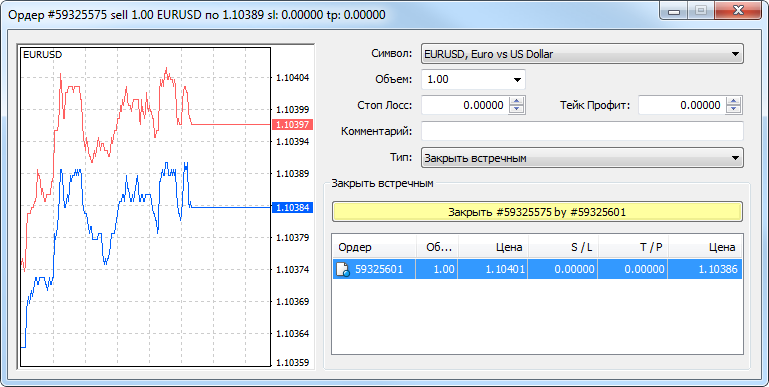 So, if you need to close a trade in MetaTrader 4, you will need no more than a few minutes to perform the operation.